It wasn’t meant to be quite like this. A stiff breeze swept across one of the world’s oldest football stadia on the most English of Autumn days, giving no hint of the seismic shift taking place half the world away. 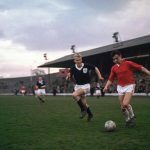 As the short substitute limbered up nervously in front of the home crowd, history was at the very centre of his mind – he was used to playing in front of over 100,000 fans, but this was a wholly different kind of pressure. Completely unknown to the expectant Gigg Lane spectators, Baichung Bhutia hurried onto the pitch knowing he represented the footballing aspirations of over a billion people. Bury and West Bengal are, in every sense, worlds apart; the former is an industrial town a few miles to the north of Manchester, famous for black pudding, while Kolkata, located in the latter, is the former capital of British India, home to around 15 million people in its metropolitan area. While Bury FC can boast one of the longest ever continuous memberships to the Football League, they haven’t played top flight football for almost a century, whereas Kolkata hosts one of the world’s largest football venues, the Salt Lake Stadium, and can honestly claim to have played its part in changing the course of history through its two most prominent teams, Mohun Bagan and East Bengal. A contact of the then-Bury manager Neil Warnock helped bridge the gap a little by alerting him to the availability of the young star of Indian football who had arrived in England looking for a club. Aston Villa had passed on the chance to sign Bhutia after a trial in the midlands, but needing a spark to ignite their stuttering Second Division campaign Warnock had taken a chance on the 23-year-old, and in offering him a three-year contract made him the first Indian footballer to play professionally outside his home country. As it turned out, carving out a life as a footballer in the alien environment of lower league English football proved beyond the man who would go on to become Indian football’s most iconic figurehead and all-time top appearance maker. He stuck it out for three seasons, but only managed 37 league games, many from the substitutes’ bench, and a mere three goals. It would be shortsighted to judge his bold foray into European football merely by statistics, though; his presence alone was a milestone in raising the profile of Indian football and gave hope to others from his homeland of making the grade on another level and continent. “Even after his retirement, [he] continues to be a revered figure in Indian football,” explains Bhargab Sarmah, an Indian football journalist based in New Delhi. “Many of us have grown up worshipping him. In fact in his home province of Sikkim [a tiny region in the Himalayas], and in a few other provinces as well, many kids took up football only after seeing his success.” The success of inspiring a generation of potential players in the most populated nation on earth is one thing, but to break the mould and forge a previously untrodden path in doing so was the mark of the man. He wasn’t the first Indian footballer to venture as far as the British Isles, however. In 1936, Mohammed Salim had been selected to represent an Indian XI against the Chinese Olympic team, unofficially India’s first international match, and was considered the leading light of the side as his trickery and passing made a significant impression. By the time of the second match, however, Salim had disappeared. His relative Hasheem had returned from Britain for a brief period, and having seen Salim dance majestically around the visiting Chinese team, persuaded him to make the journey back to Britain with him. After coercing Celtic manager Willie Maley to take a look at him, despite refusing to wear boots, Salim appeared in two Scottish Alliance fixtures, where he scored twice and assisted three, stunning the crowd with his audacious creativity. Homesickness eventually took its toll as he returned to his native Calcutta – rechristened Kolkata in 2001 – but not before leaving an indelible impression. Bhutia has gone on to become more than just a popular sportsman. He has been a representative of two of football’s most powerful sports manufacturers, Nike and Adidas, in the last decade or so in India, a huge coup for both organisations trying to make inroads into perhaps the last great untapped market in the sport. As a Buddhist, he took a stand in defence of Tibet, which borders his home province, when he refused to run with the Olympic torch before the 2008 Beijing event. Although he rarely came out with strong political statements during his career, he unsuccessfully ran as a candidate for the All India Trinamool Congress in last year’s general election. He even won Jhalak Dikhlaa Jaa, the Indian equivalent of Strictly Come Dancing. What’s most remarkable is that all this came off the back of a sport that appears to many outsiders as an inferior cousin to the sporting religion of cricket. Since his stint in England, there have been occasional examples of players of Indian origin plying their trade abroad, but only three have actually moved from the subcontinent to Europe. Harpal Singh struggled to break through at Leeds United a decade ago, eventually going on loan to Bhutia’s club Bury, while Michael Chopra carved out a reasonable career in the top two tiers of the English game, but both were born in England. So, is the theory that football is a weak second choice to cricket really true? Until 1911 Calcutta was the capital of the British Raj in India, and was built up to be the cultural, political and economic capital of the Empire in the region. It was here that the focus of action centred in the 1857 rebellion against the British East India Company’s military rule that had dominated the region for exactly a century in its relentless hunger to control the riches that Asia and the Pacific offered. After rule was passed over directly to the British Crown, making Queen Victoria Empress of India, a curious social phenomena began to thrive: late subcontinental colonialism. One way in which the elite minority cast their lot as the masters of the city and region was through sport, and in particular football. Academic establishments modelled on the public school system in England sprang up all over the city, and they all espoused the manly virtues of football as both an aspirational target and a way to introduce an environment where the masters believed British superiority could be demonstrated physically and morally. The stereotype that suited the British was that Bengalis were physically inferior and lacking in the traditional values of masculinity that dictated the current of the Empire. The Army garrison stationed at Fort William in the centre of Calcutta was instrumental in introducing the game to the city by putting forth numerous teams alongside other European settlers in the early Calcutta Football League, which was founded in 1898; an Army team won all but nine of the titles up until 1933. On seven of those nine occassions the title was claimed by the Calcutta Football Club, which had originally been founded in 1872 to play rugby but converted to football in 1894, donating the silver to forge the Calcutta Cup trophy – awarded to the winner of the annual England versus Scotland rugby union match. Native teams were barred from participating at first, and after the turn of century only two were permitted in the two-tier competition. Clubs designated for civil servants, merchants, missionaries and other European nationalities made up the rest of the league, in a clearly designed exercise to exclude Indians of any religion. It was in this environment that Mohun Bagan was established in 1889, although even they had some privileged backers. Since the inevitable disbandment of the military clubs after independence, they have become the oldest club still in existence in India – indeed in all of Asia – outdating Barcelona and AC Milan by a decade. The luxurious surroundings of the Mohun Bagan Villa palace owned by Kirti Mitra saw local lawyer and future head of the Indian National Congress, Bhupendranath Base, set up a club for indigenous people, who would compete in a number of supposedly less significant competitions such as the Coochbehar Cup. Initially, material success was hard to come by for the maroon and greens, but at least there was a club to represent without being directly under the auspices of British officialdom. In this period, two of the five oldest football tournament in the world, the Durand Cup and the Trades Cup, were established in the city, which had become the de facto epicentre of the sport in the whole country. The Calcutta Football League was an expatriate domain, so Mohun Bagan were forced to enter a multitude of cup competitions for their matches. This was an era when knockout cup competitions were considered to be more prestigious than leagues across the world, so the battle began not as a regular rivalry with other specific teams, but simply to gain acceptance. Gaining approval was a highly complex theme that ran through society in the state of Bengal. The ruling elite had intended for the sport to serve the dual purpose of being an exponent of virtues that they believed were central to building character – both civilian and military – and also to nurture a craving for their acknowledgement from the native population. The reaction was fascinating, as the different strata of Bengali society took varying approaches to the cultural importance of football. Many in the Indian upper middle class realised that one way to forge a successful part of the imperial order was to rise to the unspoken challenge laid down to them and show their willingness to adopt and strive for the ideals presented. It was assumed that Indians that took to the sport were acquiescing to the will of the British, but the reasons were far more nuanced than that. For the vast majority of locals, it was the ideal way to express themselves with freedom, on the pitch at least. Association to clubs was restricted to less influential organisations, and the system that had been enforced upon them was designed to subjegate those that didn’t accept the overbearing rules and resrictions. Some were enraged at how their countrymen simply appeared to bend to the will of the occupying white men, accusing them of lacking moral fibre and loyalty to their own people. It is certain that a fair proportion of Indians took to football with such vigour with motives other than just exercise and values. But even within the Bengali population itself there were deep fissures that would lead to the action of Mohun Bagan’s greatest rivals. In 1905, Bengal was divided on religious grounds, with the predominantly Hindu population residing in the west and Muslims in the east. The growing power and potential of the newly-formed West Bengal, and Calcutta in particular, meant the flow of migration westwards grew steadily as many sought greater wealth and opportunities, leading to an increasingly uncomfortable symbiosis of beliefs. One critical moment united all of these warring factions in 1911. Having been invited to compete in the IFA Shield in 1909 on the back of continued success in local tournaments, Mohun Bagan had struggled to match the British sides for the first two years. Their win in the final against the East Yorkshire Regiment, thanks to goals in the last ten minutes, was hailed as a historic result that proved Indians could beat the foreigners at their own game. It was all the more remarkable given that ten of the native side played barefoot due to their beliefs against their suited and, literally, booted opponents. 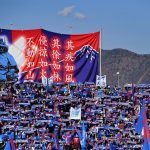 The attendance of over 60,000 celebrated the result as the first tangible expression of their ability and independence, even if it was only on the pitch. Regardless of background, Indians claimed the victory as theirs, and became more motivated than ever to continue in their struggle for recognition. The competition itself was run by a predictably all British board; the Indian Football Association had been founded in 1893 to regulate the myriad of tournaments that had sprung up across the city, and was seen as a way to control the progression of the sport by setting regulations over membership and participation. Their premier competition had just been won by Indians for the first time, and fans for moment couldn’t care less about the beliefs of different groups of people. Almost a decade later, the uneasy juxtaposition of religious and social factors boiled over to form a new entity. In 1920, Mohun Bagan faced Jorabagan in a Coochbehar Cup match, but the latter’s midfielder Sailesh Bose was dropped without explanation by club officials. Bose was a Bangal – an immigrant from East Bengal – and vice president Suresh Chandra Chaudhuri was so enraged at what he saw as discrimination against his fellow Bangal that he left Jorabagan to form his own club named after the region. 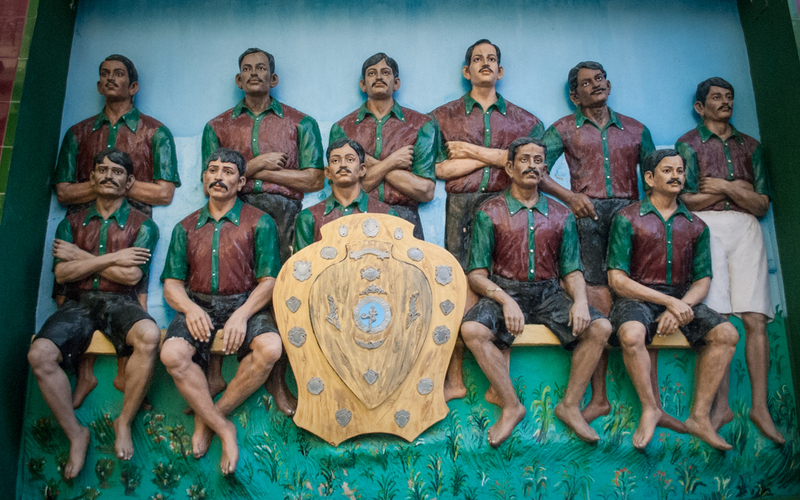 Mohun Bagan were not specifically anti-Bangal – they had, after all, fielded eight of them in the famous 1911 IFA Shield final – but the perceived favouritism they received from the authorities as a well-to-do club with support from high places jarred with the concept of a club established not just for the people, but a specific group. When East Bengal applied for promotion to the top division, where only two Indian clubs were permitted, Mohun Bagan opposed their membership at the highest level, prompting a rally from their nascent rival’s fans with flaming touches. Throughout the 1950s and ’60s, East Bengal grew in stature as they claimed numerous titles and even embarked on a tour of the Soviet Union and Romania. Their foreign forays proved successful as they beat teams from Iran, North Korea and Thailand, and in 2003 they became the only Indian club to win a continental tournament in the ASEAN Club Championship. Mohun Bagan didn’t go without; they are the most successful domestic club in India having collected over 170 trophies, with the rivals collecting 136. In total, they have played over 300 derbies in all competitions, more than the Manchester or Merseyside derbies. Cricket has long been the national sport in India. The performance of the national team for both sports doesn’t bear comparison: the cricket side have won the World Cup twice and have topped the rankings in all formats of the game, whereas the footballers are ranked 172nd in the world, behind the Cook Islands, Puerto Rico and Malaysia, and have never qualified for the World Cup. That could have been so different after they were invited to take part in the 1950 World Cup in Brazil but didn’t take up their place. At that stage, the appeal of the tournament was not apparent to them – it was the first edition that they had been invited to qualify for, and they were entered automatically as Myanmar, Indonesia and the Philippines withdrew from qualifying. The arduous journey, as well as the fact that they didn’t wear boots or play 90-minute matches domestically, meant they deemed it an unnecessary competition. Nowadays, cricket salaries can be astronomical. India captain MS Dhoni was paid $3 million for a month and half’ work in the highly lucrative Indian Premier League, for example. Football was not even fully professional in the 1990s when Bhutia made his pioneering journey to the glamour of English football, but it is starting to catch up. Current national team captain Sunil Chhetri is paid around £150,000 a season by the Mumbai City FC franchise in the Indian Super League, a glamorous competition based on cricket’s IPL model with sponsors and foreign stars adding sparkle to a previously untapped market. The accumulation of competitions means that local rivals such as Mohun Bagan and East Bengal face each other numerous times a season, but in competitions of wildly differing levels of importance. It has done nothing to blunt the ferocity of following, however. In 2012, Nigerian forward Okolie Obama was sent off after East Bengal had taken the lead just before half-time. Furious Mohun Bagan fans started hurling bricks in anger, one of them striking their own player, Syed Rahim Nabi, in the face. Nabi was hospitalised and the Mohun Bagan team refused to come out after half-time as 40 people were seriously injured in the ensuing violence. The only consolation was that it didn’t descend as far as the tragic 1980 encounter. A 0-0 draw frustrated both sets of fans, who set upon each other in the stands, causing a panicked stampede which claimed 16 lives. The policing that day was not able to prevent such a disaster, but the evidence of how much the sport meant to the fans was grimly highlighted. The positive image of modern Indian football would be nothing without the legendary Bhutia. Holder of India’s fourth-highest civilian honour, the Padma Shri Award, he assists the All India Football Federation – the successor to the colonial IFA – in a wide range of administrative matters, as well as establishing his own football academy. Even he failed to emerge from his playing career completely loved after he appeared for both sides in the Kolkata derby. Originally a product of East Bengal, he went on to represent the club on four further occassions, but he found the transition to Mohun Bagan colours tougher. His 1997 hat-trick front of the record attendance will forever link him to the red and gold of East Bengal, and he remains the derby’s all-time top goalscorer. For all the diplomacy of a global icon and the glitz and glamour of the ISL, the Kolkata derby is something that can’t be matched in many places around the world. The bread and butter of Kolkata football fans is a rivalry that has survived despite – or thrived because of, depending on your point of view – the fall of an empire, the division of race, religion and caste, and the competition from the overwhelmingly popular cricket. Put simply, in spectacular understatement, locals call it the ‘Boro Match’, or Big Match. Few, it seems, anywhere in the world, are bigger. With thanks to Bhargab Sarmah, Chiranjit Ojha, Somnath Sengupta and Arjun Krishnan for their invaluable insight and help.